ABC News reported on March 31, 2010 that the CIA succeeded in convincing an Iranian nuclear scientist, Shahram Amiri, to defect to the United States. We have not confirmed this report. Amiri worked at Malek Ashtar University in Tehran. This university is reportedly located across the street from FEDAT, which is the name of the secret nuclear weapons research and development headquarters under Iran’s Ministry of Defense run by Mohsen Fakhrizadeh (see figure 1). On December 14, 2009, ISIS released documents reportedly showing the organizational structure of FEDAT and its location. Figure 1. 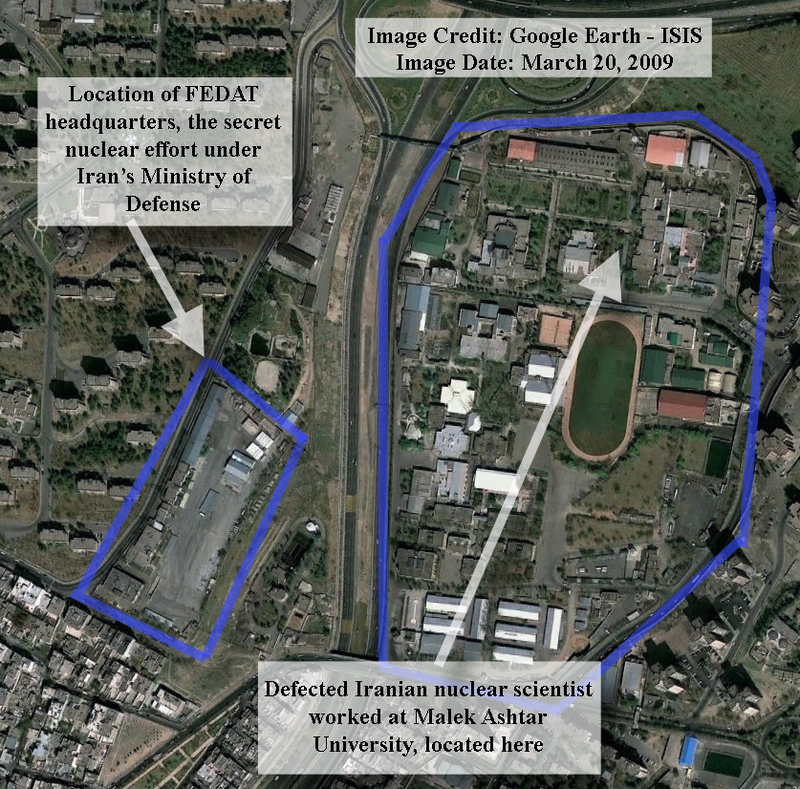 Image of north-eastern Tehran showing that FEDAT, the secret nuclear effort under Iran’s Ministry of Defense, is located across the street from Malek Ashtar University in Tehran, where defected Iranian nuclear scientist Shahram Amiri worked.